Can you believe it’s already Christmas Eve? The holidays always bring lots of food. Whether you’re hosting at home, bringing along some homemade treats, or just serving up some cookies to Santa tonight, you’ll need a few plates to serve all of those love filled treats you’ve made. This plate has some pretty flowers on it for spring, but you could also add a Christmas twist with the right graphics. This craft is so easy, you may even be able to have your plate dry in time to show it off to Santa tonight. This entry was posted in Baking & Treats, Craft Trends, Crafts, Holidays & Seasons, Parties and tagged Kitchen on December 24, 2016 by Joselyn. 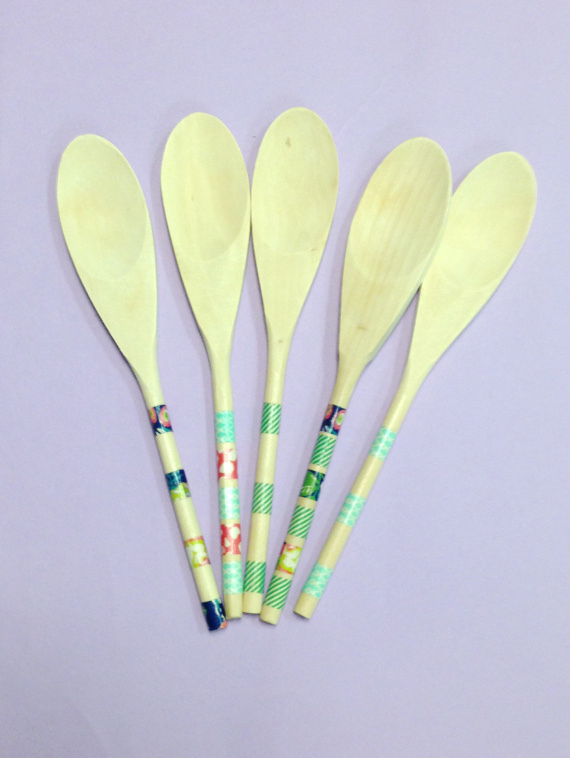 Create colorful and unique wooden spoons in no time using washi tape! You’ll be so surprised how quick these are to create and how easy it is to add a little bit of your personality to your kitchen. This entry was posted in Baking & Treats, Crafts, DIY gift ideas, Home Decor, Mod Podge and tagged Quick & Easy DIY, Washi Tape on November 3, 2016 by Joselyn. I’m love baking, but live with a health nut, so when it comes to consuming my baking creations, I’m on my own. That’s why I give away baked goods for pretty much any special occasion. I made some French macarons for my mom for her birthday and wanted a quick and easy way to give them to her that looked much better than a plastic container. 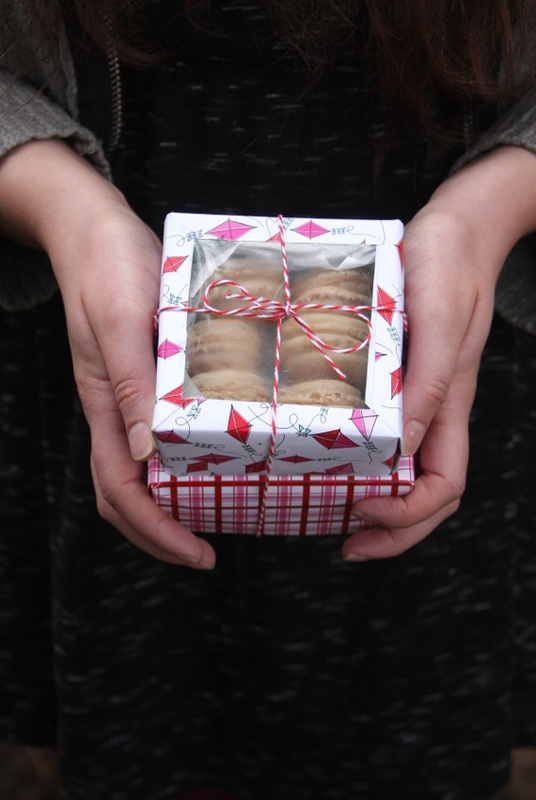 I think I’ll be making many more of these little treat boxes for all of the recipients of my sweet treats. This entry was posted in Baking & Treats, Birthdays, Christmas, Crafts, DIY gift ideas, Easter, Holidays & Seasons, Mother's Day, Paper Crafts, Parties, Valentine's Day and tagged Gift Wrapping, Origami, Paper Boxes on January 12, 2016 by Joselyn. November in Portland is very rainy and chilly, not to mention cold season. As we’re spending more time indoors and preparing for the holidays with fall crafts and indoor activities I thought this would be the perfect time to gather some recipes for holiday baking with the kids. Here are recipes that the family can make together right in time for Thanksgiving and holiday bake sales and parties. Making no bake mum cookies is more like assembling small edible works of art than cooking, which I have to admit is more our strong suit in my family! This entry was posted in Baking & Treats, Crafts, Crafts for Learning, Fall, Family Crafts, Holidays & Seasons, Kid's Crafts, Parties, Thanksgiving, Toddler Crafts, Winter on November 23, 2015 by Maria. 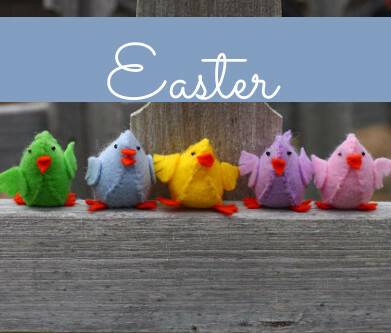 As the Writer, Photographer, and Creator of Crafted Living, Tina gives step by step tutorials for creative cardmaking, recipes, and inspiration for living crafty. Cut a piece of cardstock to 3.5″ x 8.5″ (you can make three gift card holders from one sheet of 8.5″ x 11″ cardstock). Score cardstock on one end at 2″ and the other end at 2.5″. Use corner rounder to round the corners on the 2″ end. Cut three pieces of patterned paper at: 3.25″ x 1.75″, 3.25″ x 2.25″ and 3.25″ x 3.75″. Use the corner rounder to round the corners of one end of the smallest piece of paper. 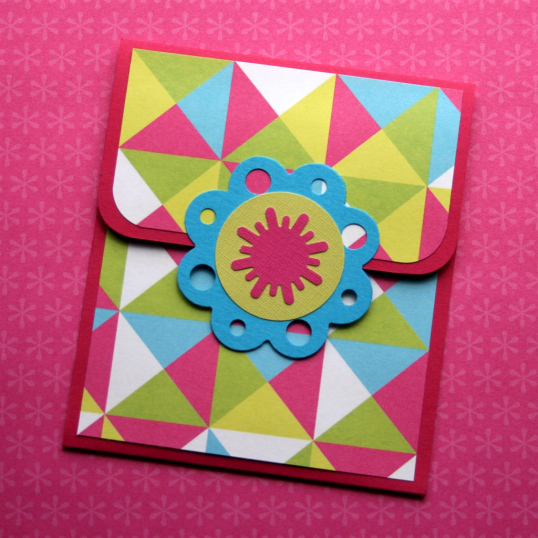 Run adhesive along the side edges of the 2.25″ end of the cardstock to make the pocket. Adhere the patterned paper to the outside of the gift card holder. Attach the Velcro dot to the flap for closure. Punch out the decorative emblem and attach to the pocket. I was inspired by this pin on Pinterest and made it my own. Now, you have the option to present your gift card with flair. 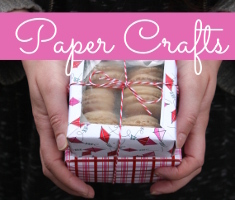 Happy paper crafting! This entry was posted in Baking & Treats, Cardmaking, Crafts, Paper Crafts and tagged Featured Crafter on July 20, 2014 by Guest Blogger. 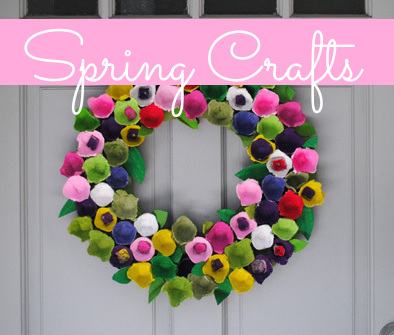 By Kid’s Crafts Contributor Tracey, from the blog We Made That. We always make flowers for my mom for Mother’s Day, but this year I wanted to mix it up a bit and make her some edible ones. 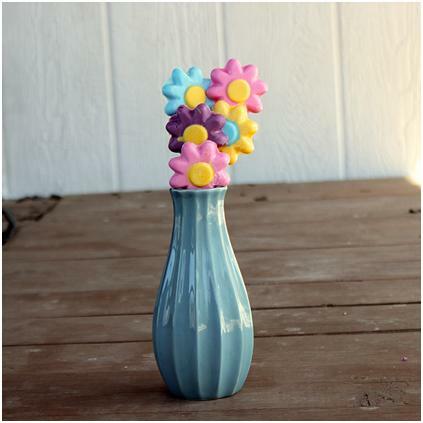 That is why we decided to make these yummy Mother’s Day Chocolate Flowers. I know my mom will love them because she loves flowers and she loves chocolate, so this is a win-win. The fact that the grandkids made them just makes these the best gift we could make for grandma. This was actually our first time ever making candy like this, so I was not really sure how it was going to go. I have to say it was way easier than I thought it was going to be. Both girls were able to help, which just shows you how truly easy this was. I decided to just melt the chocolates in a plastic bag to make the whole process quick and less messy which ended up working great. While one bag was in the microwave melting, I had my daughter making flowers with another one. It took less than 10 minutes to fill our mold using 4 different colors. Then, we just waited for them to harden and we made some more. This entry was posted in Baking & Treats, Crafts, Family Crafts, Kid's Crafts, Mother's Day, Toddler Crafts and tagged Family Crafts, Toddler Crafts on April 15, 2014 by Tracey. Happy Friday, it’s time to give away some more free stuff! Today, you have a chance to win the book Super-Cute Cookies by Chloe Cocker! 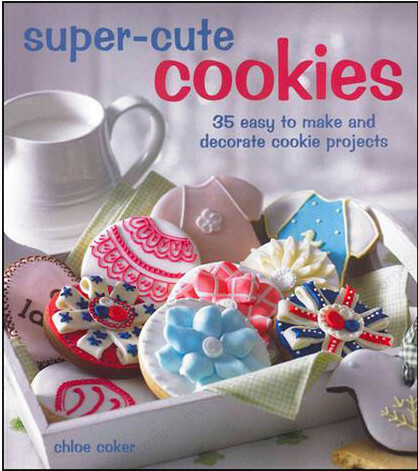 This book as 35 adorable cookies that are much easier to make than they look! You’ll also learn what supplies you’ll need, find great recipes and more! 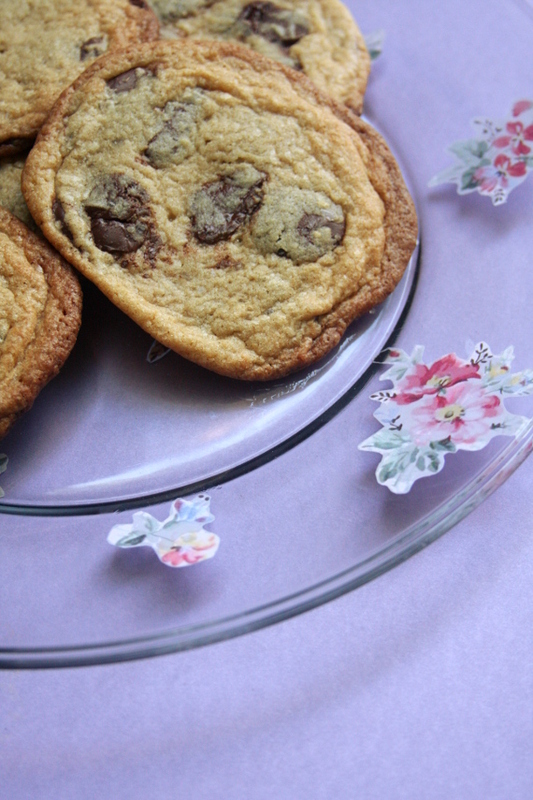 Question of the week: What is your favorite cookie recipe? If the comment box is not below, scroll to the top and click “comments”. This entry was posted in Baking & Treats and tagged Contests, Free Stuff Friday!! on March 7, 2014 by CreateForLess.